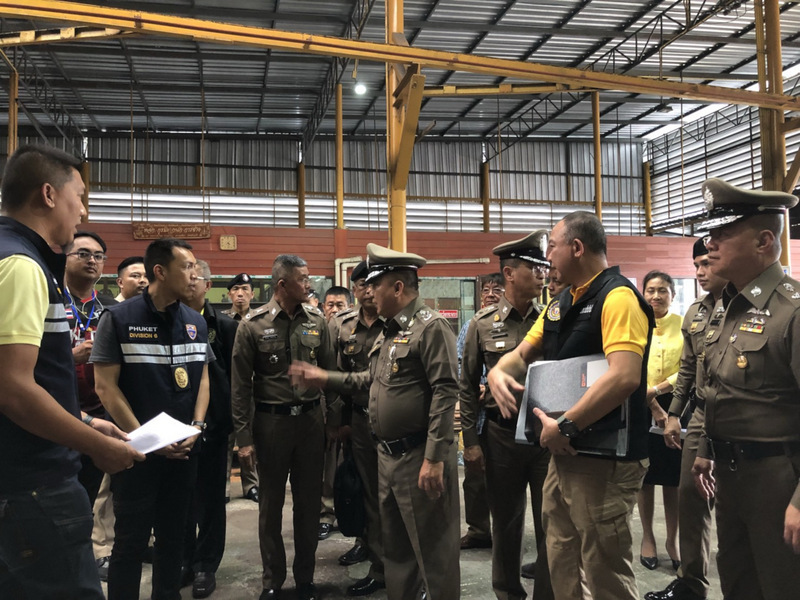 PHUKET: Royal Thai Police Deputy Commander Pol Gen Sriwara Rangsipramanakul and a team of investigators arrived in Phuket yesterday (July 13) as the investigation into the sinkings of the Phoenix and the Serenata Phuket tour boats continues. The Phoenix capsized and sank off Koh Hei (Coral Island) amid a storm squall on July 5, resulting in the reported deaths of at least 47 Chinese tourists, with dozens more pulled from the sea in a massive rescue operation. The Serenata also capsized and sank off Koh Mai Thon in the same storm, though all 41 people on board were later safely rescued. Gen Sriwara explained that three arrest warrants had been issued. 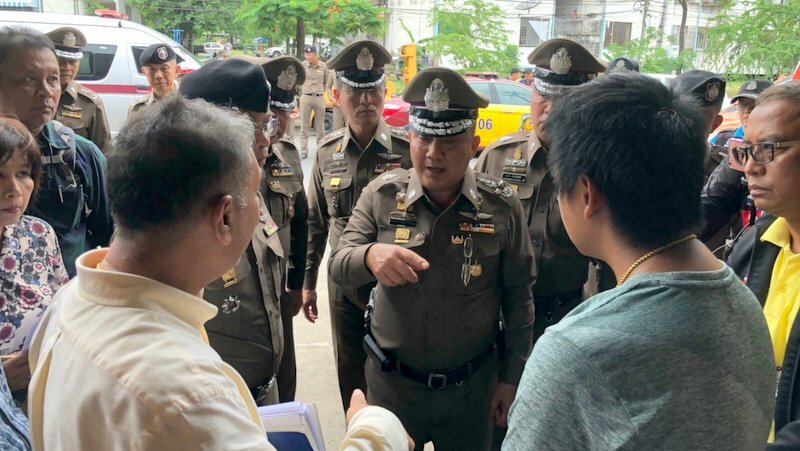 A warrant for Criminal Case 1104/2561 was issued on July 6 for the captain of the Serenata, Metha Limsakul, 58, registered as living in Phuket Town, he said. The warrant also empowered the arrest of Ping Daxian*, 26, from China, registered as living in Moo 1, Chalong, off Chao Fa West Rd, he added. Both were accused of negligence causing serious injury to another person, Gen Sriwara explained. 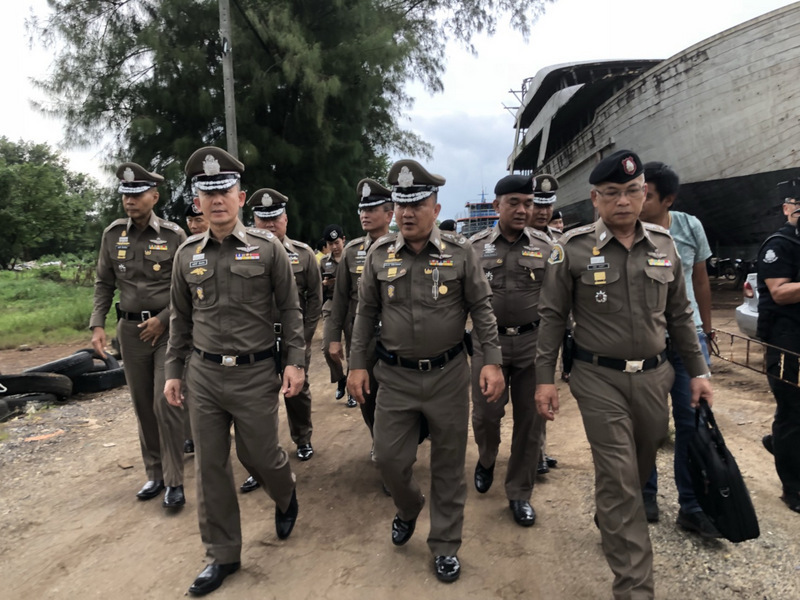 Another warrant, for Criminal Case 1105/2561, was issued on July 6 for the arrest of the captain of the Phoenix, Somjing Boontham 50, registered as living in Moo 1, Rassada, on charges of negligence causing death and serious injury, and causing danger to the body or mind, he added. “The investigating officer notified Mr Somjing of the charge on July 8,” Gen Sriwara explained. A Russian national living in Phuket was also charged over a jet-ski incident on July 5, Gen Sriwara noted. The warrant, for Criminal Case No. 1114/2561, was issued yesterday (July 13) for 25-year-old Ilya Goldman, a Russian citizen living in Moo 7, Rawai, for negligence causing harm to others. Mr Goldman and Elena Volkova were riding a jet-ski off Koh Racha when they were caught in the July 5 storm. The couple were rescued some 15 kilometres off Koh Racha by a passing fishing boat. Gen Sriwara noted another arrest warrant, for Criminal Case 326/2561, was issued yesterday (July 13) for the registered owner of the Phoenix, Woralak Rerkchaikarn, 26, registered as living on Wichit Songkram Rd in Phuket Town. The construction engineer for the Phoenix, Onchan Kanhayote, 56, of Phetchabun Province, also had a warrant for his arrest issued yesterday, for Criminal Case 327/2561, Gen Sriwara explained. Both Woralak and Onchan face charges for negligence causing death, as well as causing serious injury and to harm the body or mind of others. “Onchan has already surrendered to the inquiry officer to acknowledge the allegations and was released on the same day,” Gen Sriwara said yesterday. However, according to the Bangkok Post, Ms Woraluk was interviewed by investigators shortly after the accident, but has yet to turn herself in since the arrest warrant was issued. In an interview with Chinese media, Zhang Wenhao, husband of Ms Woralak, said his wife is responsible for business operations while he is a diving instructor. 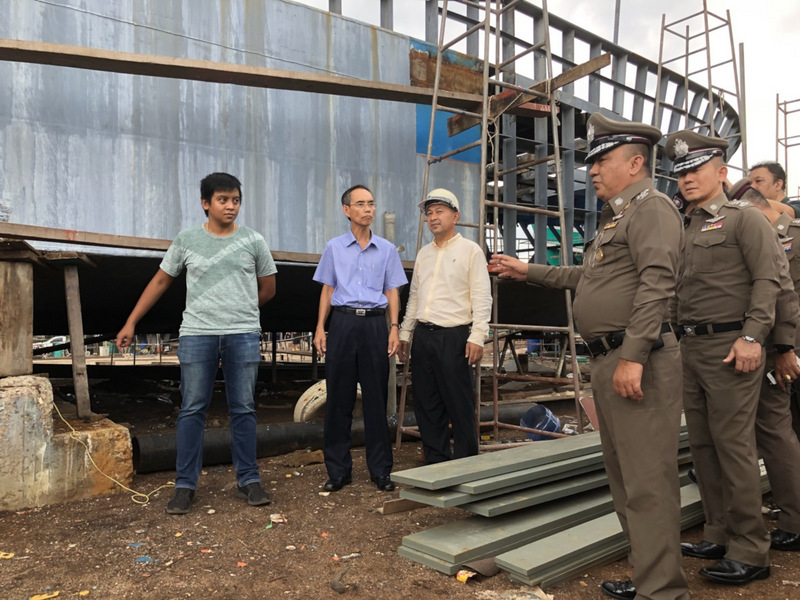 Late yesterday afternoon, Gen Sriwara and his delegation inspected the Thanawat Engineering and Construction Co Ltd boatyard and the Sikij Co Ltd boatyard, at separate locations in Rassada, which are both responsible the construction of the Phoenix. Thanawat Engineering and Construction Co Ltd was found to be in breach of Section 12 of the Factory Act 1992 as it was deemed to be operating a factory at the site without a license. Meanwhile, Vice Admiral Somnuk Preampramot, Commander of the Royal Thai Navy Third Area Command based at Cape Panwa on Phuket’s east coast, said officials will be deployed at four main ports – Chalong Pier. Rassada Pier, Wisit Panwa Pier and Ao Po Grand Marina – to inspect boats and make sure they comply with regulations. The move is part of efforts to increase safety on tour boats in the Andaman Sea in accordance with an order from Prime Minister Prayut Chan-o-cha, V/Adm Somnuk explained earlier this week. * Originally reported as "Pang Kaching", but later clarified by Phuket Provincial Police Commander Maj Gen Teeraphol Thipjaroen as "Pang Daxian".